Florida is full of back roads and small towns, and you’ll find plenty of spots brimming with history and culture. Locals will want to tell you stories of pirates and treasure, and you’ll feel like you’ve stepped back in time when you wander into many of the villages and beach towns around the state. Take a look at these eight small towns that are worth a road trip while you’re on vacation in Florida—or getting settled as a new resident. About an hour and a half north of Miami, Juno Beach is a quiet coastal town with a distinctly local feel. Drive north on Interstate 95 from Miami, West Palm Beach, or Fort Lauderdale. If you’re coming from the north, take I-95 or Interstate 75 south to Palm Beach County. This town isn’t like other beach attractions, it’s small and simple with lots of natural beauty and quaint, locally-owned boutiques. Take in a sunrise from the Juno Beach Pier, which is also a popular fishing spot. Nestled between restaurants and shops in the historic center is the Downtown Carousel, inspiring whimsy and merriment for adults and kids. Just over an hour from Tampa is Inverness, a town that celebrates the cooter turtle with an annual festival. There is a large lake and a boardwalk behind the local police station where those turtles enjoy swimming and sunning themselves. Drive north on I-75 out of Tampa, or take the more scenic Highway 301 until you roll into town. American flags line the downtown area, where visitors can peruse antique shops, enjoy a home-style meal at one of the family-run restaurants, and hike through historic Fort Cooper. If you love the Florida Keys but want to be away from it all then Cedar Key is the one to visit. Cedar Key is an island off the northwest coast of Florida less than an hour west of Gainesville and just over two hours north of Tampa. 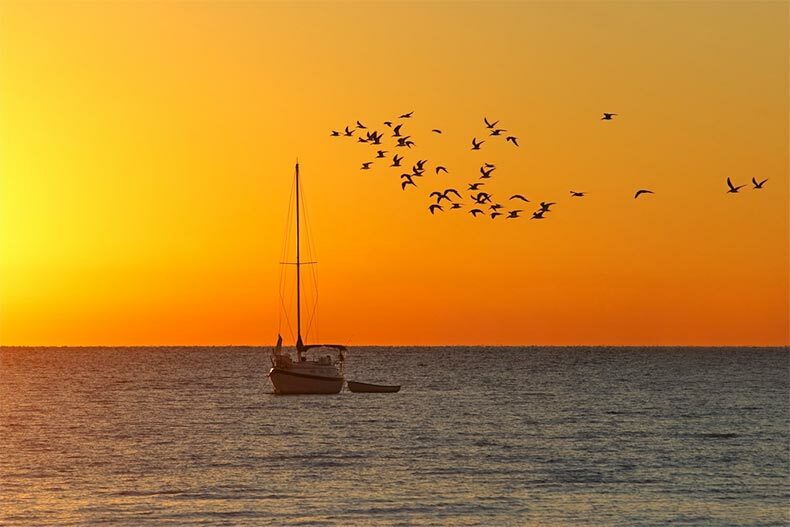 It provides tranquil views of the Gulf of Mexico, plenty of opportunities for wildlife and nature, and some of the freshest seafood in Florida. It’s a walkable town, and visitors enjoy strolling the local boardwalk, where typical tourist shops bump up against B&Bs and restaurants overlooking the water. Atsena Otie Key is just a little further off the coast of Cedar Key and only reachable by boat. Just south of Gainesville in Alachua County is Micanopy, the oldest inland town in Florida. It has an intimate, leafy feel and the storefronts downtown are distinctly southern in their charm. If you love antiques, used books, and coffee shops that are great for people watching, this is the town for you. It’s located on Highway 441 and surrounded by other small Florida towns that are easy to visit if you’re taking a drive through the central part of the state. This is a favorite area for parents visiting their students at the University of Florida. An hour and a half east of Sarasota in Highlands County is Sebring, which is called The City on the Circle. That’s because all of the downtown action takes place on Circle Drive, where visitors can find shops, restaurants, and local arts and crafts. Outside of downtown, Sebring is surrounded by freshwater lakes, including Lake Jackson, Little Lake Jackson, and Dinner Lake. Sebring International Raceway has been hosting races since 1950. Take scenic Route 66 out of Sarasota and past Myakka, Solomon’s Castle, and Zolfo Springs. 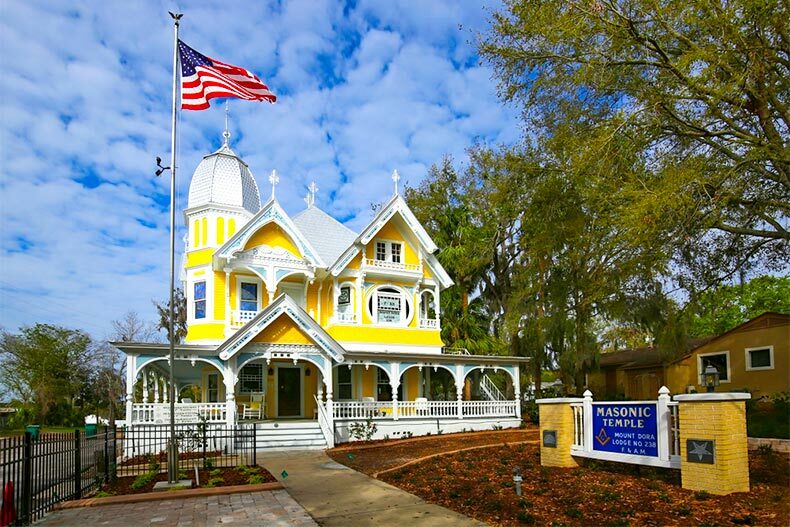 Mount Dora's quaint downtown includes several historic homes. Modern art shows and annual festivals entertain locals and visitors in this small town in Central Florida on the shores of Lake Eustis. Mount Dora is about 40 minutes north of Orlando, off Highway 429 and past the commanding Lake Apopka. 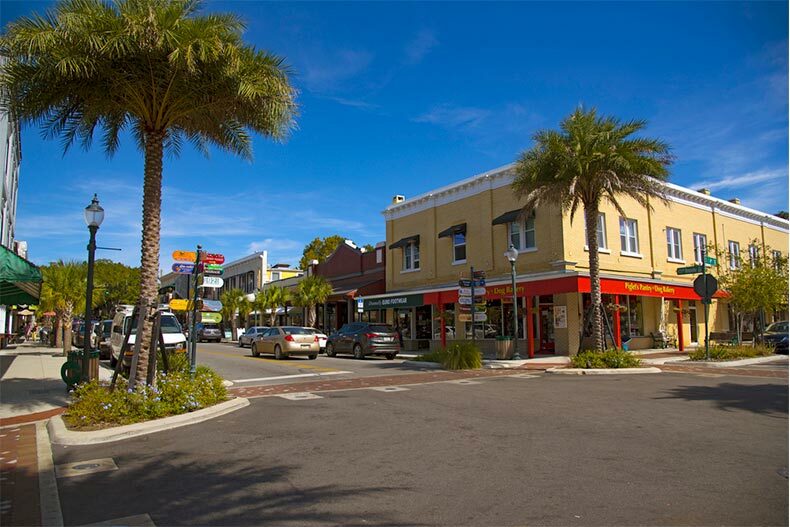 In Mount Dora, visitors enjoy antique stores, old-fashioned creamery shops, fudge factories, and local artisans. Nearly every weekend features a boat parade, regatta, or fishing tournament. A seaside village that’s home to six of the Florida Keys, Islamorada is equidistant to Miami and Key West, about an hour and a half off the mainland on scenic Route 1. The coral reefs are breathtaking and draw snorkelers and scuba divers from all over the world. 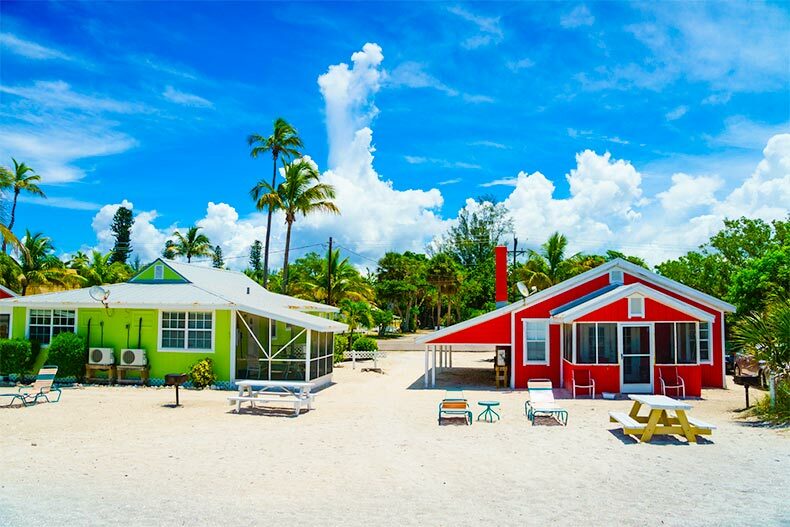 With many tourists sticking to the better-known Keys, this is the best one for solitary swims, leisurely beach strolls, and instructive visits with nature and wildlife. If you want a quiet place to relax on the beach with a drink, you have to check out Captiva Island. An hour off the coast of Fort Myers is Captiva Island, a barrier island that is largely car-free. There is a resort and a yacht harbor, and visitors enjoy shelling and watching birds such as herons, osprey, and sandpipers along the shore. It’s a perfect place for all water activities, particularly kayaking, fishing, and boating. Plus, the sunsets off the Gulf of Mexico are legendary.